Vallravn is the name of both a mythical Danish bird that’s eaten the heart of a king who has died in battle and Cedar Point’s new dive coaster, which opened earlier this month. The Swiss-made Vallravn is the tallest, longest, fastest dive coaster on earth and seems to totally defy the laws of physics. 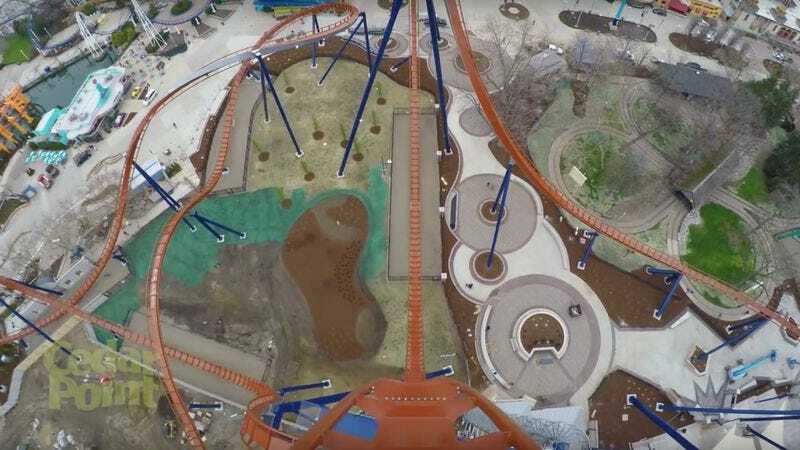 If you’re wondering what it’s like to ride Vallravn—the coaster, not the evil mythological bird—the folks at Cedar Point in Sandusky, Ohio, have put out a first-person video that gives you an idea of what it’s like to be in the coaster’s front car. In short, it’s terrifying. What is that first drop even? How do you not go flying out of the coaster? It’s madness. On the other hand, Vallravn the roller coaster is still much less frightening than wolf ravens that crave the blood of children.